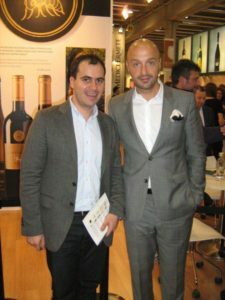 Last week I attended one of the most exciting wine events of 2013: a complete tasting of Angelo Gaja’s wines, organized by the Romanian importer – Vinimondo. 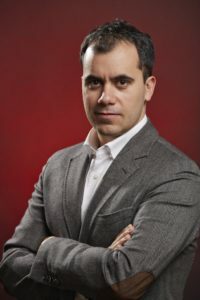 The event took place at Radisson Hotel in Bucharest and was hosted by Mrs Michela Inghese – Gaja Wine Ambassador present in Romania for this special occasion. 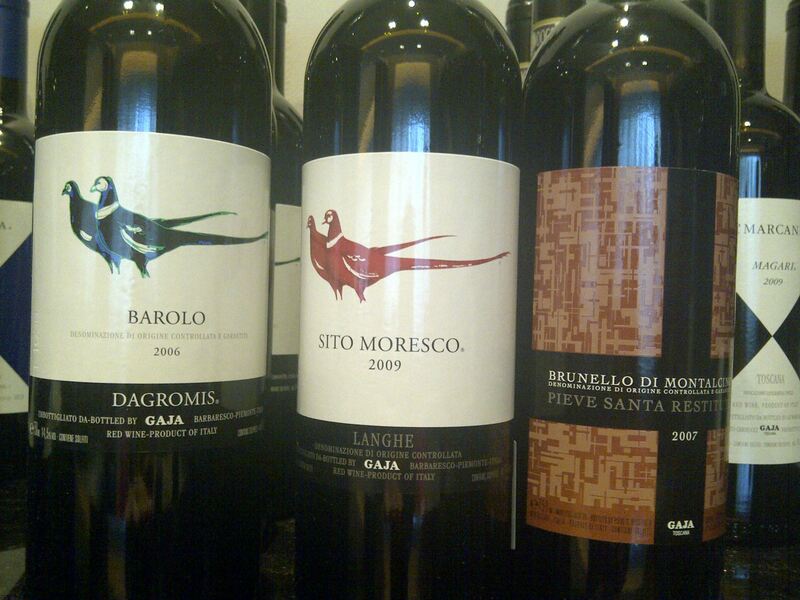 Gaja is the most famous Piedmontese producer, an innovator who’s wines grew the reputation of this region to new heights. Five generations of Gaja’s have been producing wines in Langhe hills since 1859, the year Gaja Winery was founded in Barbaresco. 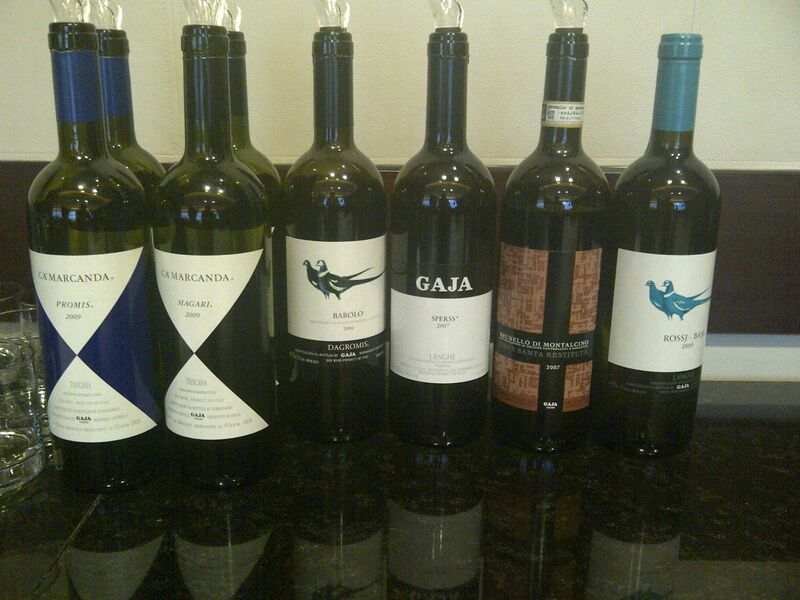 Angelo Gaja joined the winery in 1961 and started to introduce the wines to foreign markets. 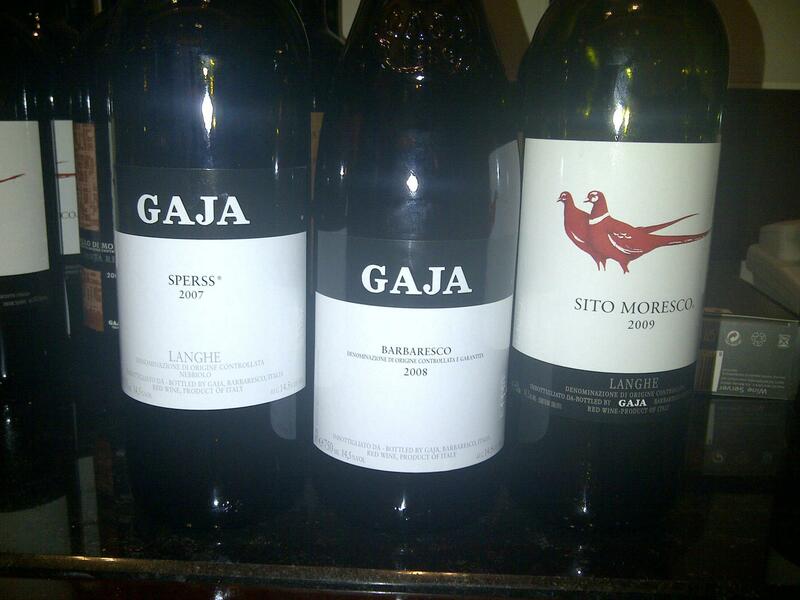 Today Gaja Winery owns approximately 101 ha of vineyards in Barbaresco and Barolo. 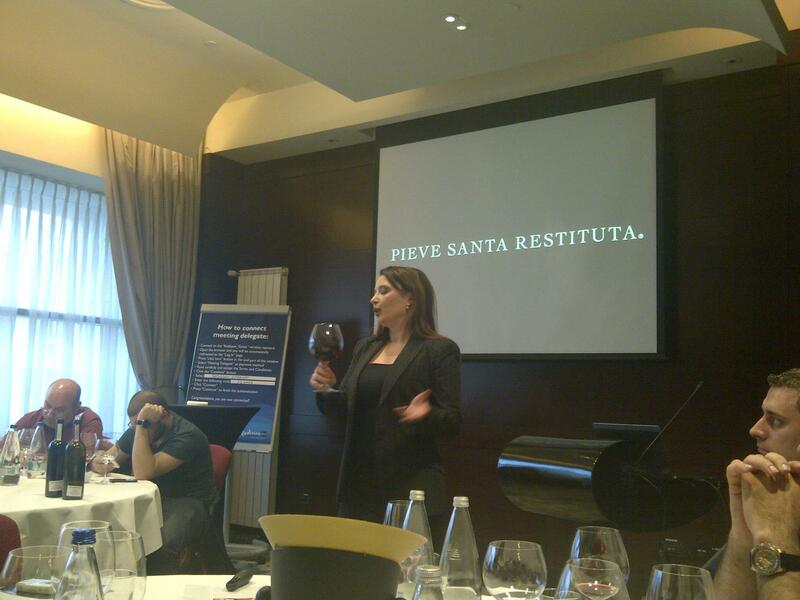 In 1994 they acquired Pieve Santa Restituta in Montalcino, their first wine estate in Tuscany. From the 27 ha of vineyards here they produce 3 Brunello’s – two single vineyards Brunello’s: Renina and Sugarille, and starting in 2005 a generic Brunello di Montalcino. 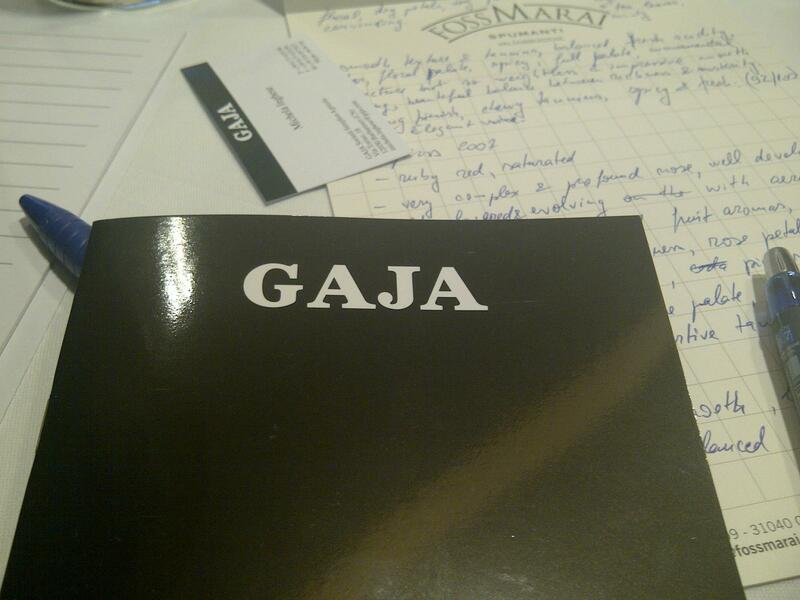 In 1996 Gaja family bought a second propery in Tuscany: Ca’Marcanda located in Bolgheri. The name Ca’Marcanda comes from the Piedmontese dialect and means “house of endless negociations” and refers to the time spent by Angelo trying to convince the former owners to sell the property that was once an olive and fruit orchard with few vineyards. Over 110 ha they grow Merlot, Cabernet Sauvignon, Cabernet Franc, Syrah and Sangiovese. 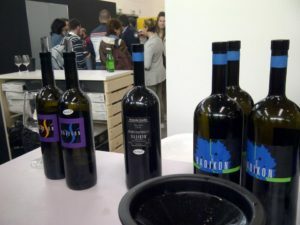 The wines produced here are Promis, Magari and Ca’Marcanda, the first released vintage was 2000. 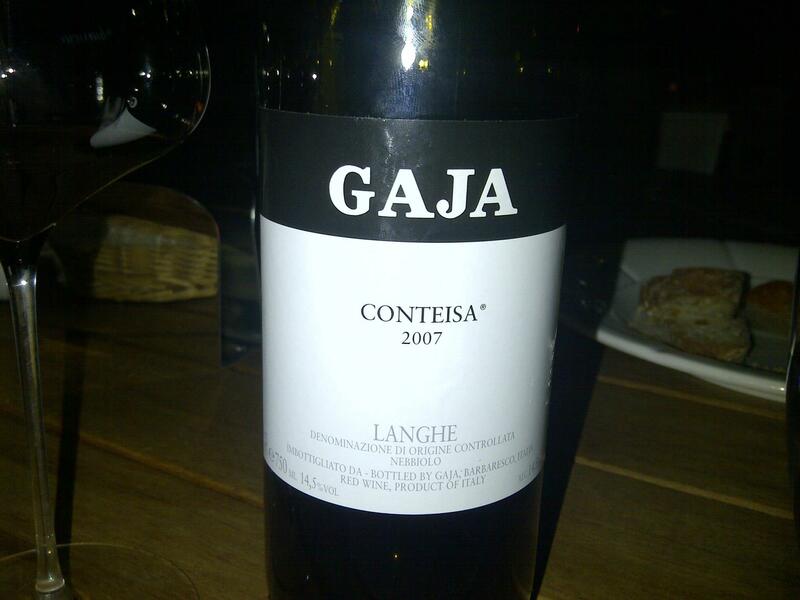 Gaja’s flagship wine and one of the Italy’s greatest wine. 100% Nebbiolo, 12 months aging in barriques followed by 12 months in large oak casks. 94% Nebbiolo and 6% Barbera, fruit comes from Serralunga d’Alba and Barolo, 12 months in barriques followed by 18 months in large oak casks. Labelled just a Langhe Nebbiolo DOC because of the small addition of Barbera. 92% Nebbiolo and 8% Barbera, 12 months in barriques followed by 18 months in large oak casks. Fruit comes from vineyards of La Morra and Barolo. 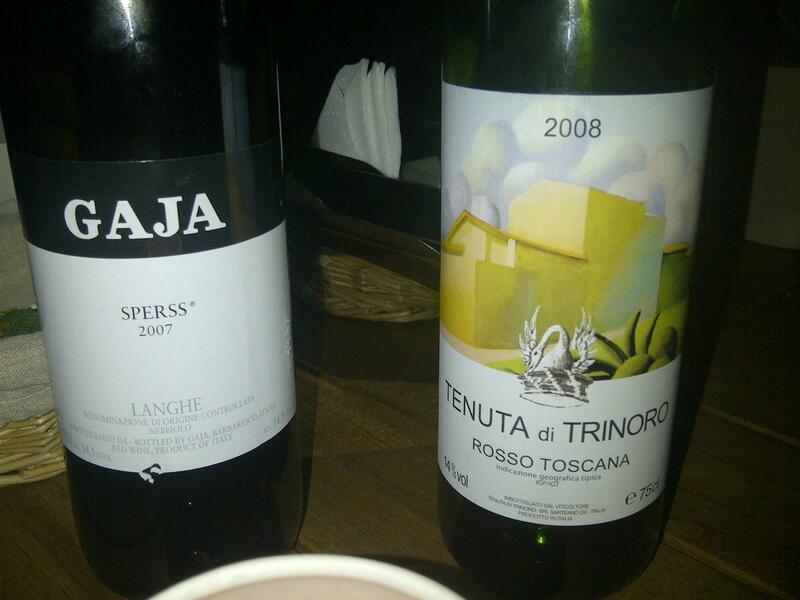 That’s why a more feminine and floral wine compared to Sperss. 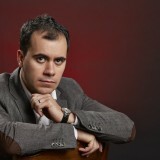 There is virtually no chance that after such monumental wines there can be another one that can play on the same league. 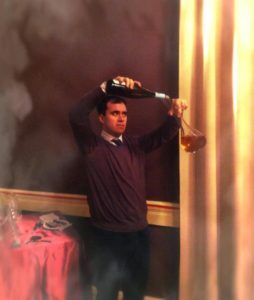 And yet the host from La Brasserie managed to do it with a 2008 Tenuta di Trinoro. Dark reg garnet color, almost opaque. This has the Tuscan sun written all over it. A one of a kind tasting and evening.